Gite any comfort, swimming pool 8x4m, wifi, trampoline 4m, lake, superb view. Property 5: Gite any comfort, swimming pool 8x4m, wifi, trampoline 4m, lake, superb view. 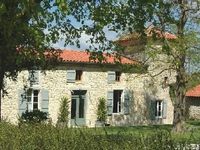 Property 12: Grand Group lodging close to the Gers & Toulouse, heated pool & Leisure. Beautiful stone house "les Frênes" Maubec "
Property 13: Beautiful stone house "les Frênes" Maubec "
This is a beautiful house with charming hosts in a gorgeous spot - quiet and calm, surrounded by sunflowers and rolling hills. One of the best gites we have ever visited!